I am constantly blown away by the interest and readership that Pastorsponderings.org is receiving! It is truly humbling and I am truly honored. 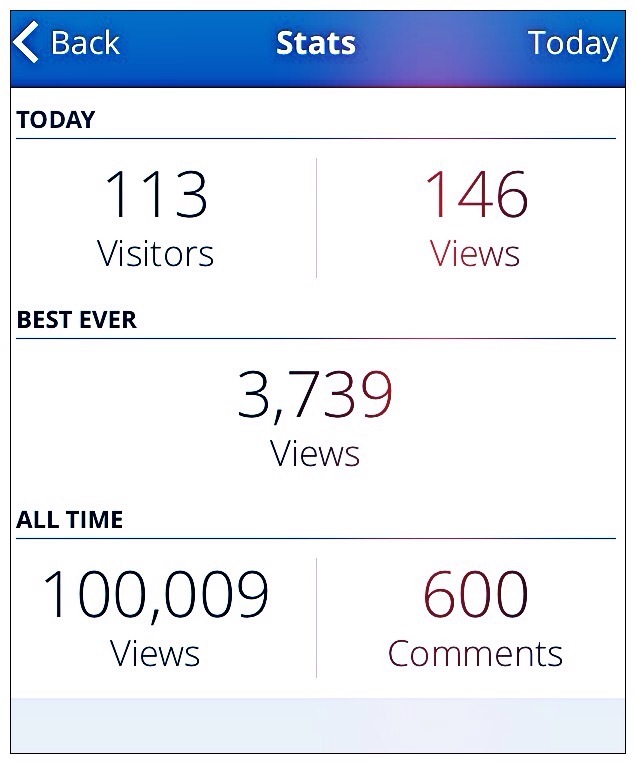 Friday night we surpassed 100,000 views. Seriously, WOW! I am honestly blown away at how quickly we have reached this benchmark. Thank you for following and reading Pastorsponderings.org! Please continue to share our little blog as we will continue to bring you relevant, thought provoking content!